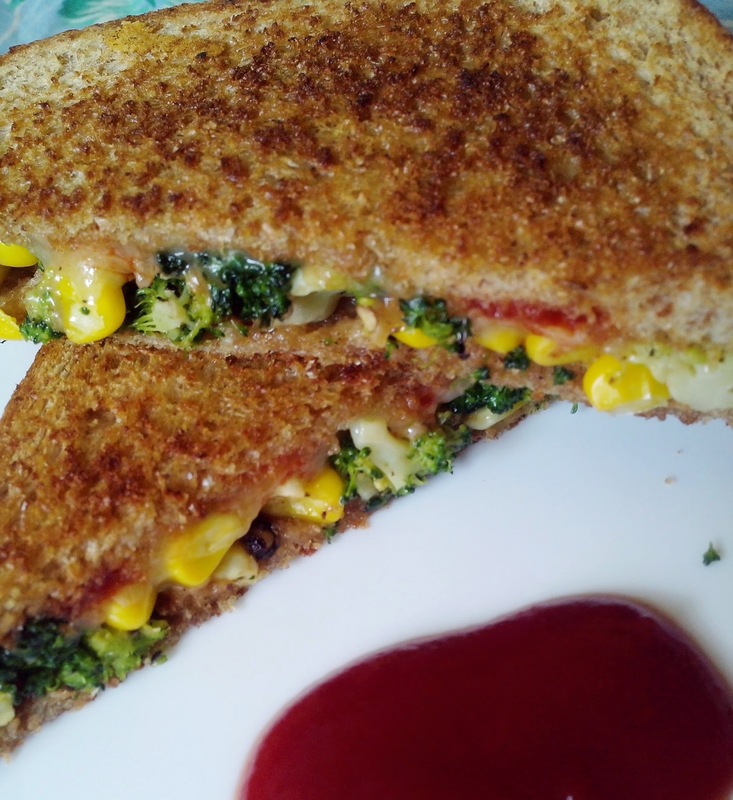 Pavi's Platter: Broccoli Cheese Sandwich ! This simple broccoli sandwich is perfect for a busy morning breakfast. Packed with full of nutrients and a filling recipe that can be prepared in minutes with minimal ingredients. Broccoli and cheddar go well with each other and even broccoli haters will love this. Its perfect for kids as an evening snack too. 2 tblsp grated Cheddar Cheese. 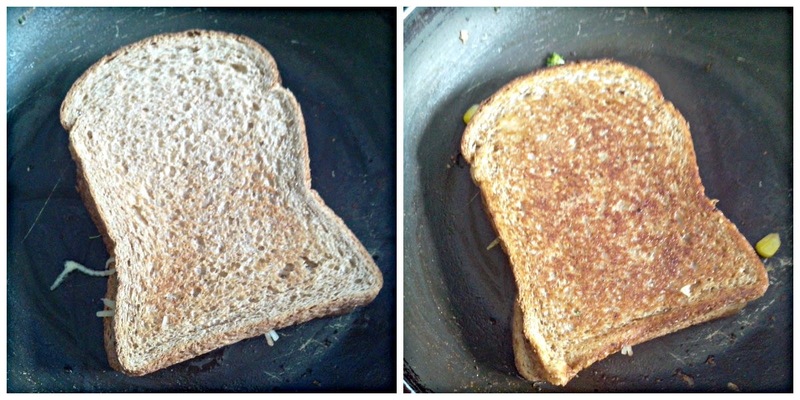 I toasted the bread in a toaster once before making sandwich , you can just toast it with little butter on a tawa. I microwaved corn for 4 - 5 minutes. You can just boil it in hot water too. Heat a pan, add half tbsp of butter and add the broccoli florets and saute for 4 - 5 minutes till they are cooked but still crunchy. Do not overcook them. Add the cooked corn to it. Add salt and crushed pepper to it. 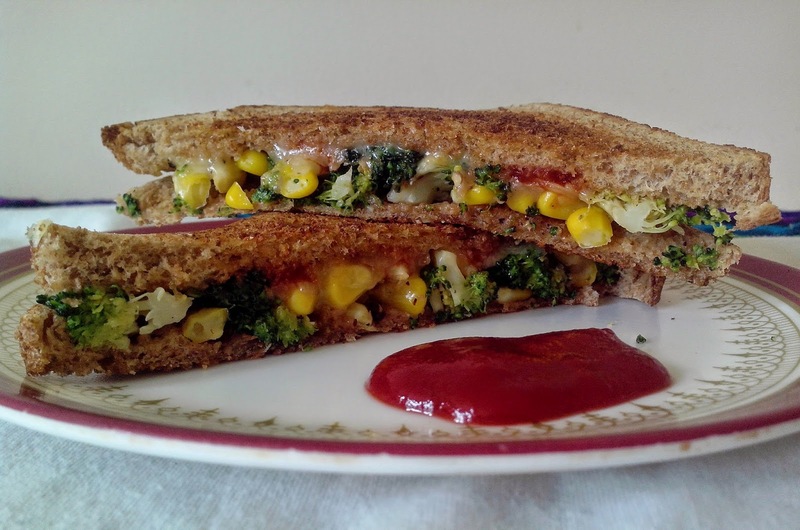 On the toasted bread, arrange the broccoli corn mixture evenly and spread the grated cheese on it. Optionally you can also sprinkle some tomato sauce on it. 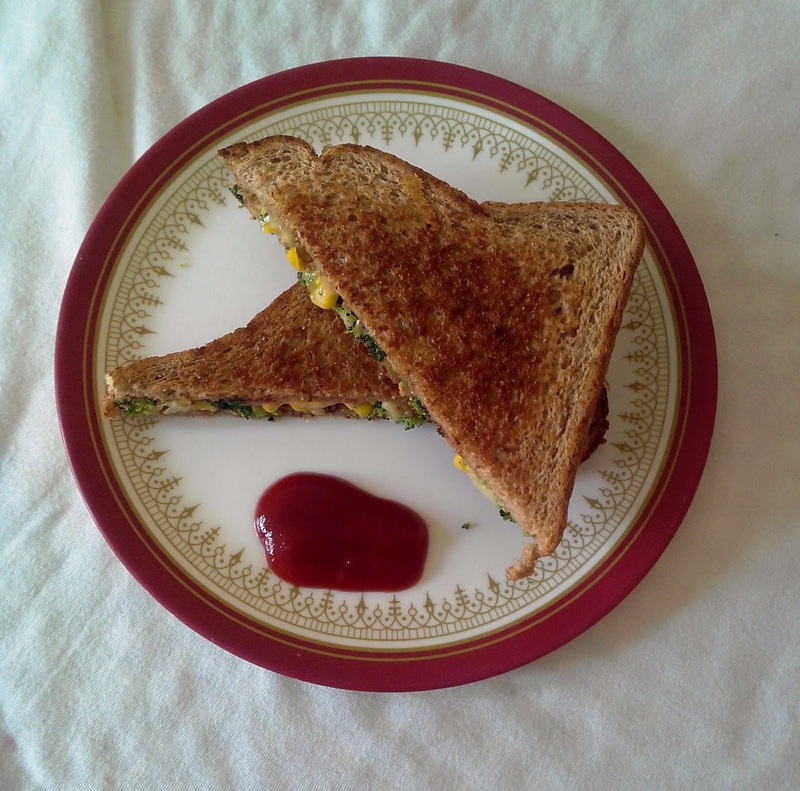 Place the other bread slice on top and with a help of a small plate give a tight press. Make sure the broccoli mixture does not come out. Now add the remaining butter in the pan and place the sandwich carefully on the pan and toast well so that the bread is browned and turn crispier on the outside and the cheese melts on the inside. Flip the sandwich and keep for minute so that the other side too turns crispy. Transfer to plate and cut them diagonally. Serve with your favorite sauce. See you with another easy and wonderful recipe.